Don’t let your parking lot go dark! 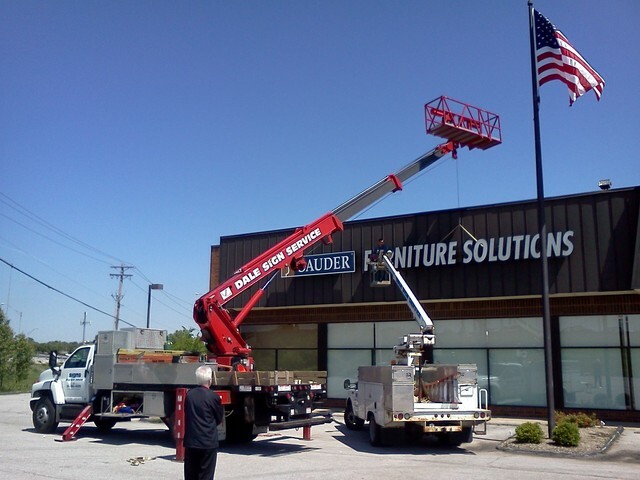 Call Dale Signs to service your parking lot lights today! 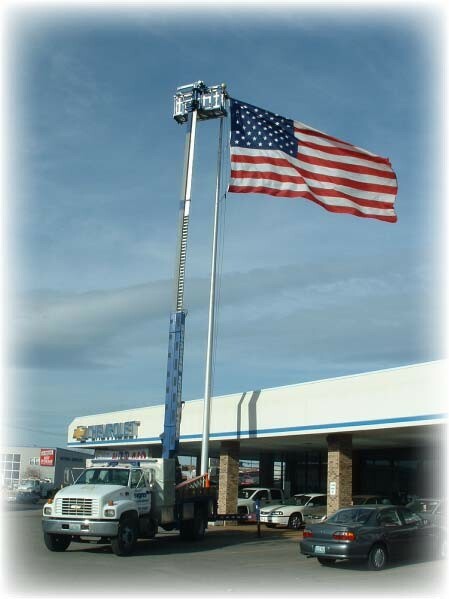 Our fleet of trucks are equipped with boom cranes to facilitate the servicing of your parking lot lights. 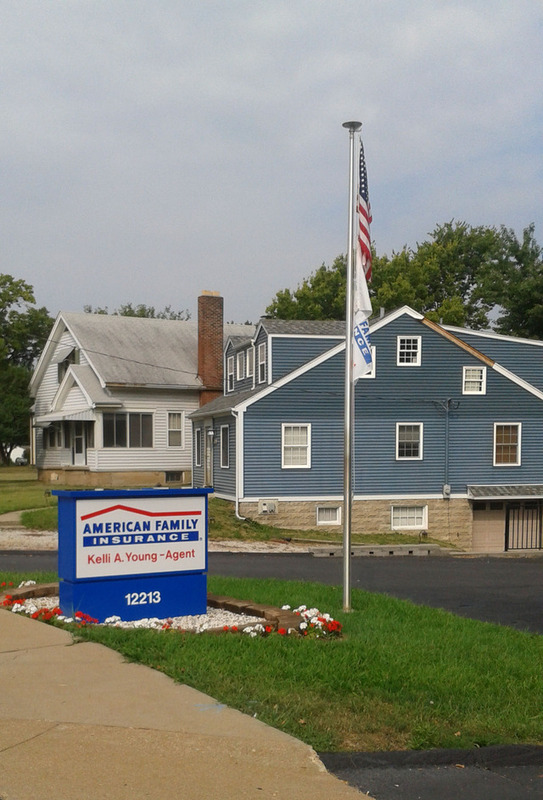 If your lights require repair or simply new bulbs, call us and we’ll work quickly to get them back on. 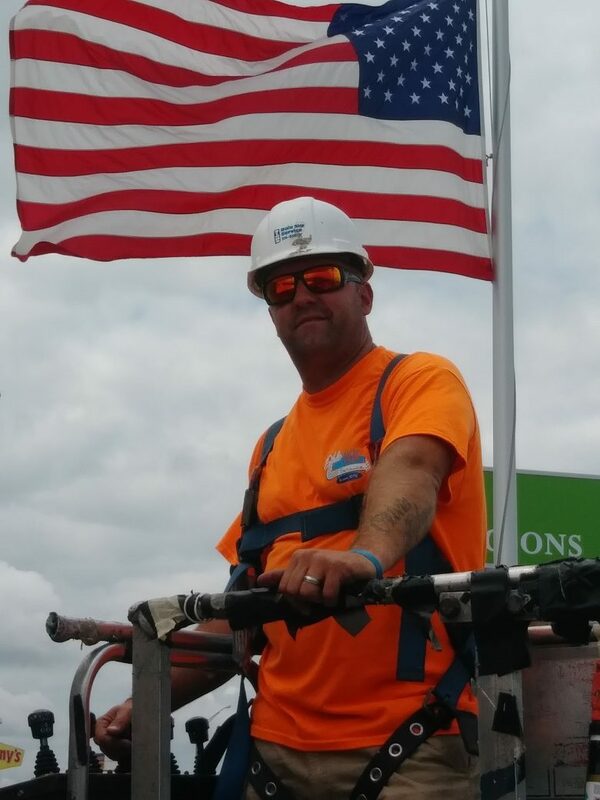 Keep your lot in top shape by providing ample lighting in the winter and at night, reassuring your customers and your employees. 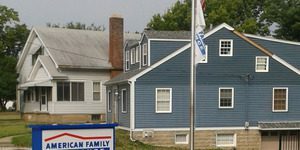 Considering the various weather conditions that flag poles are exposed to, most last a number of years but almost all flag poles require service or repair at one point or another. 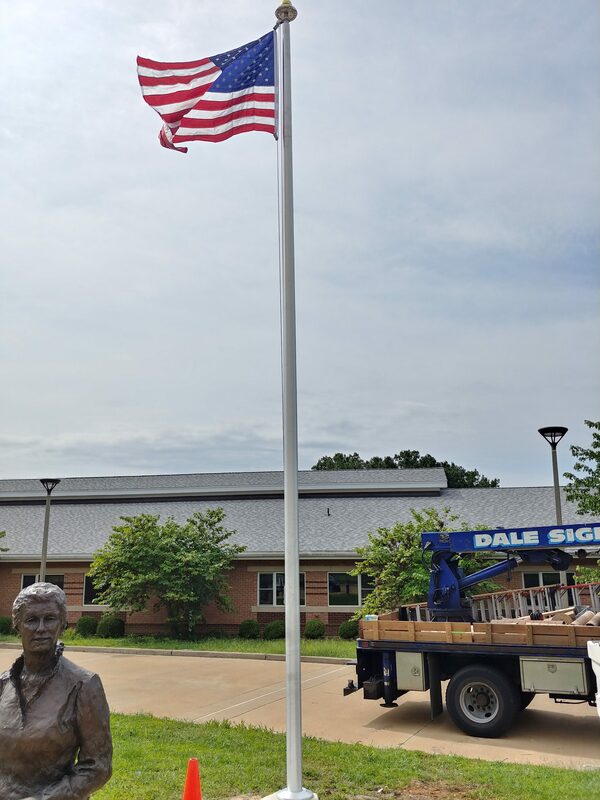 Contact Dale Sign Service if your flag pole requires repairs or servicing and take advantage of our boom-crane equipped trucks to fix your flag pole.